Barr eventually deleted that tweet, and later said her use of Ambien wasn’t meant to be an excuse for her comments about Valerie Jarrett, a former senior adviser in the Obama White House. Barr referred to Jarrett, who is black, as the offspring of the “muslim brotherhood & planet of the apes.” Many people mocked Barr for blaming Ambien—including the Paris-based pharmaceutical company Sanofi-Aventis, which makes the sleep drug. Sanofi says the side effects of zolpidem may include anxiety, depression, nervousness, strange behavior, thoughts of self-harm, memory loss, hallucinations, and severe confusion. The U.S. Substance Abuse and Mental Health Services Administration reports that some 19,000 emergency room visits in 2010 involved zolpidem. This was a sharp uptick from the approximately 6,000 zolpidem-related ER visits that occurred in 2005, and reflects the trend of more people turning to sleep aids to combat insomnia. 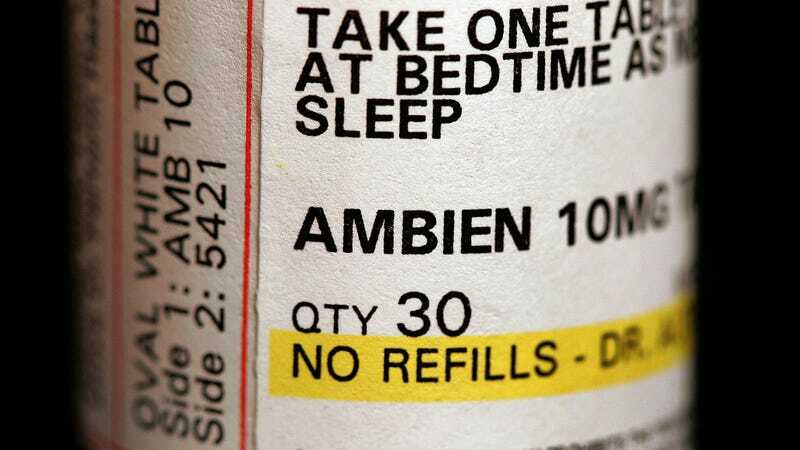 “Sleep-driving” is even one of the horrifying risks included in the company’s prescribing information for Ambien. So, it’s annoyingly smug for Sanofi to fire off a clever tweet that downplays the very real potential negative side effects of its product. Ambien was first approved by the Food and Drug Administration in 1992, and remains the leading prescription treatment for insomnia. But it soon became clear it and similar drugs could also cause bizarre symptoms in people, according to patient complaints. In 2007, the FDA attached warnings to Ambien and 12 other drugs, following a class-action lawsuit against the company that alleged people were suffering from sleepwalking episodes, hallucinations, nonstop nighttime eating of unusual things like raw eggs, memory loss, and violent behavior. There have even been reports of Ambien-associated murder. None of this is meant to be a justification for Barr, who in March accused Parkland shooting survivor David Hogg over Twitter of giving a Nazi salute in a photo of him raising his fist during the March for Our Lives (she later retracted that claim and deleted the tweet). And Barr has trafficked in conspiracy theories and strange, debunked beliefs since long before she was back on the airwaves. But as with so many political battles these days, there are no real heroes here. Not the television company that decided to suddenly stop ignoring Barr’s racism when it became inconvenient, and certainly not the pharmaceutical company that managed to get a sick social media burn in while reportedly creating an oligopoly with other companies that has allowed it to keep raising the price of insulin medications. So please, for the love of God, do not welcome Sanofi to the #Resistance.